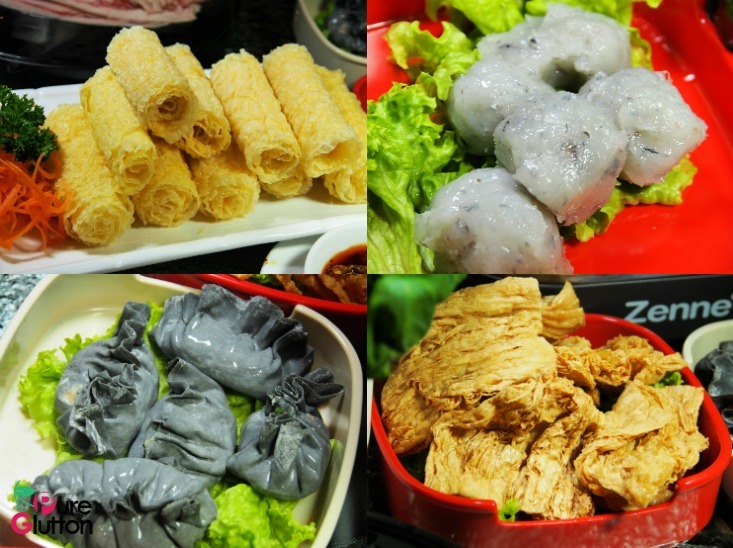 Seafood lovers in Petaling Jaya – rejoice! 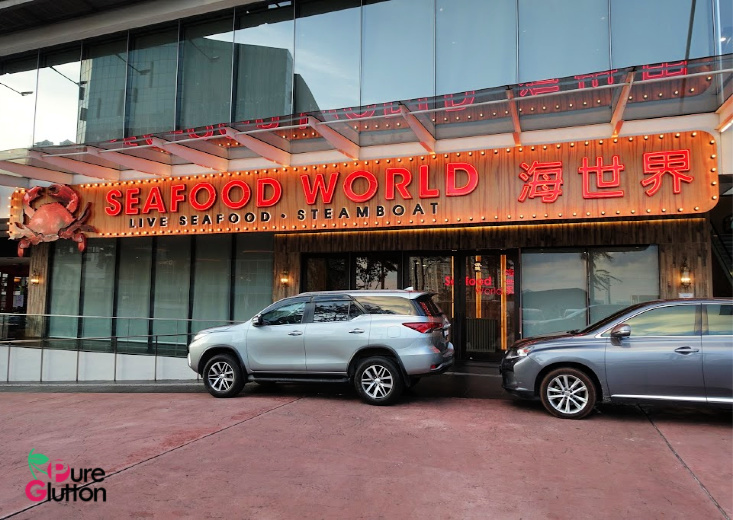 Seafood World, the latest restaurant from the Oriental Group is now open and holding court grandly at the Main Entrance of Plaza 33. 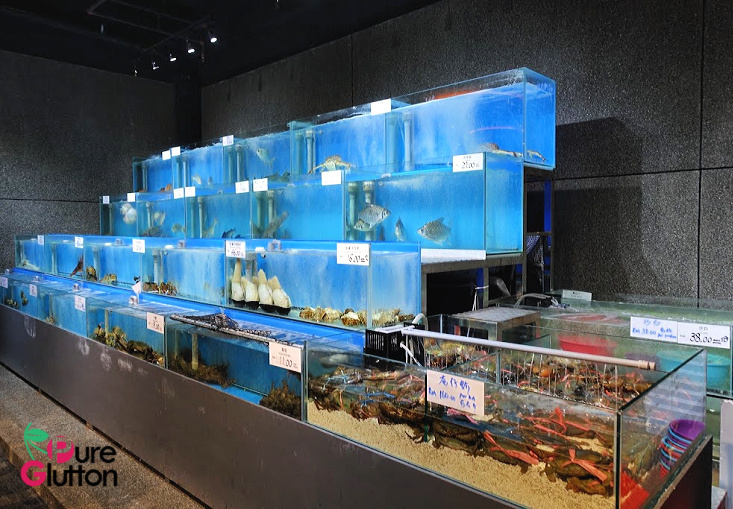 Its huge brightly-lit signboard beckons wickedly and once you step into its cool interior, you will be welcomed by rows of tanks housing live seafood for your picking. 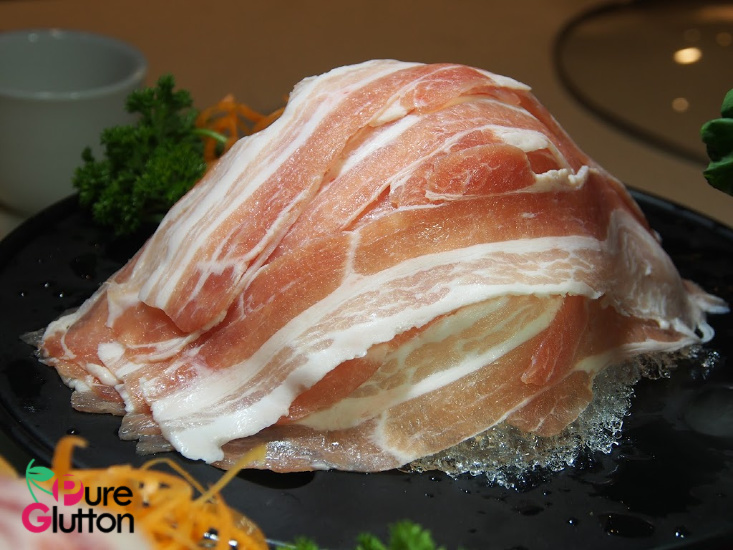 At the moment, the selection may not be overly extensive but whatever is available, you can be sure the seafood is of top-notch quality. When we browse through the menu, we just want to try everything as every dish looks so tempting! 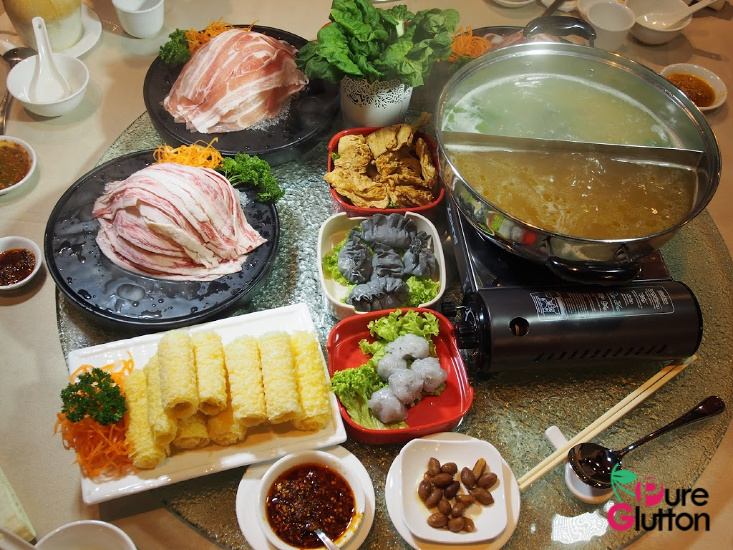 The restaurant serves steamboat(hotpot) and besides live seafood, there are quite a lot of other items on the steamboat menu. 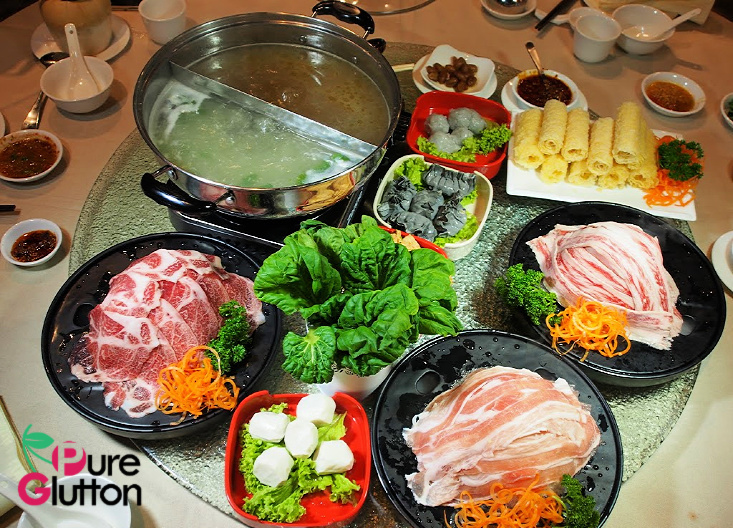 Sliced meats, house-made seafood paste, balls and dumplings all look so good, we decided to have a bit of everything! 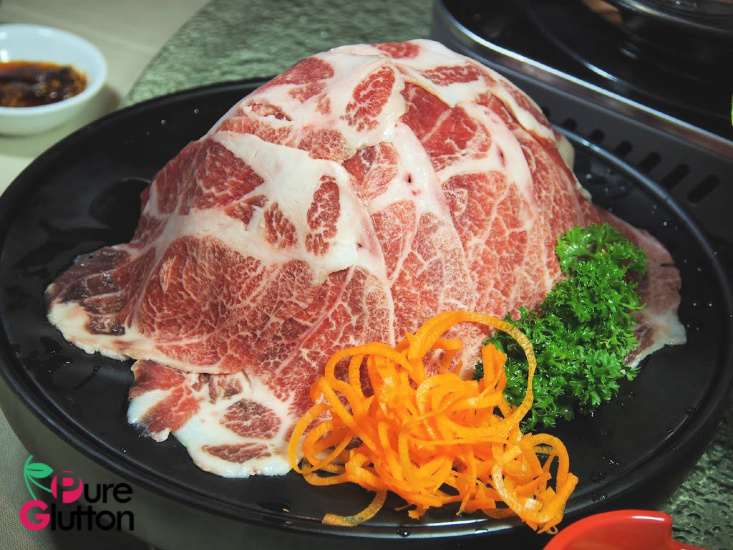 There are several choices of broth for the hotpot – our choices are the Century Eggs & Coriander Soup with light clear flavours and Beef Bone Soup which is absolutely tasty with a very delicate bovine undertone. 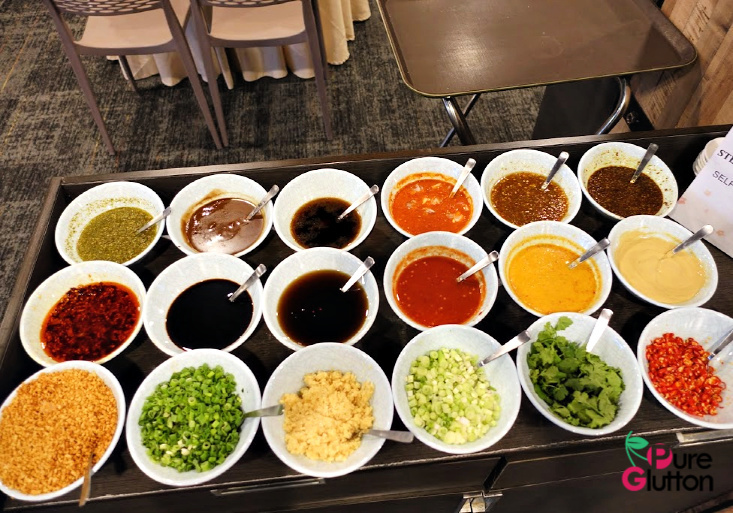 As our table gets filled up with plates of Sakura Pork Belly, Australian Beef, Fresh Prawn Paste, Charcoal-skin Dumplings, beancurd rolls, mushrooms and vegetables, we take some time to move to the sauce table and proceed to mix-and-match our own concoctions. There are several types of chilli sauces, mustard sauce, sesame sauce, bean sauce, soya sauce, chopped garlic, coriander leaves and a whole lot more. Hotpots are great on chilly evenings! 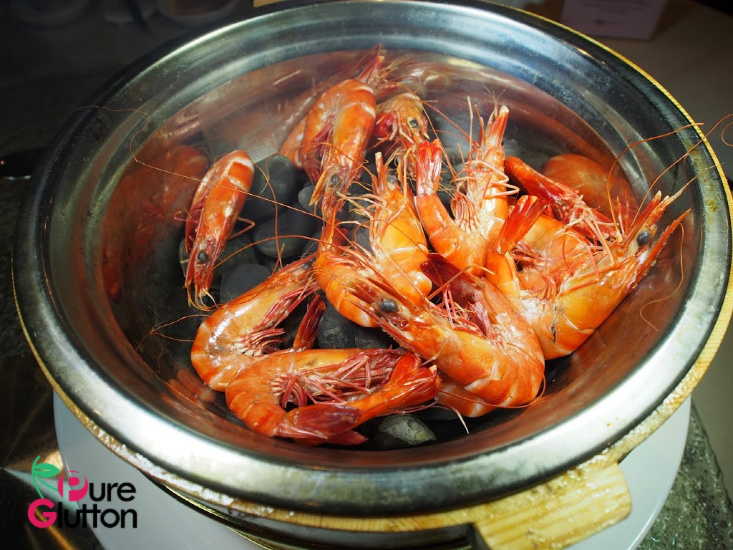 Once our stomachs are nicely warmed up by the hearty soup and super-fresh items of the hotpot, we just have to try some of those live seafood from the tanks. 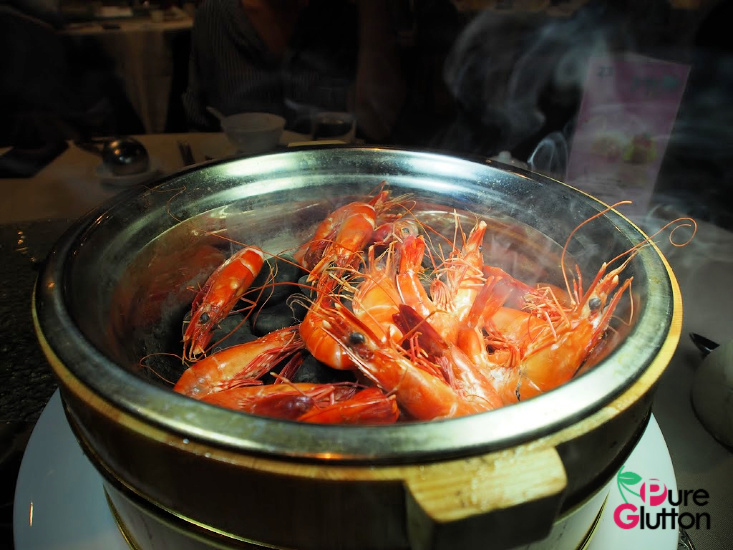 Live plump tiger prawns intoxicated with Chinese wine and cooked in a hot stone pot prove to be amazingly good. 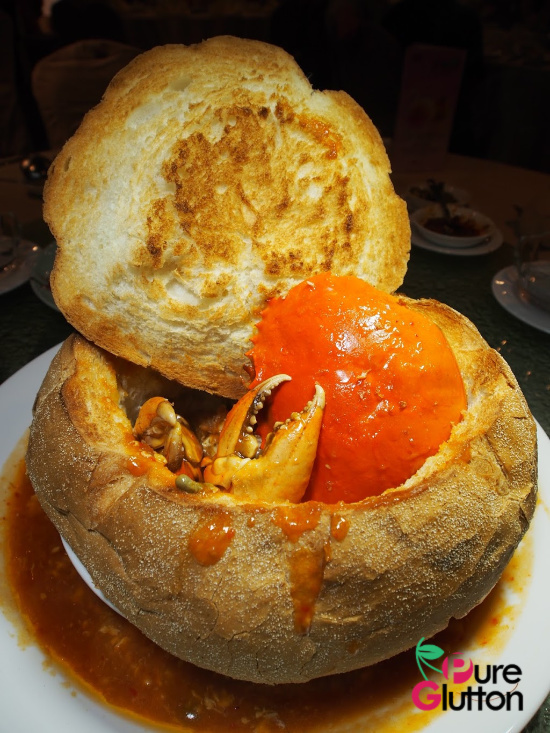 Being in the mood to crack some crabs, the Sweet Chilli Crab served in a French Bread Bowl really gets us swinging. 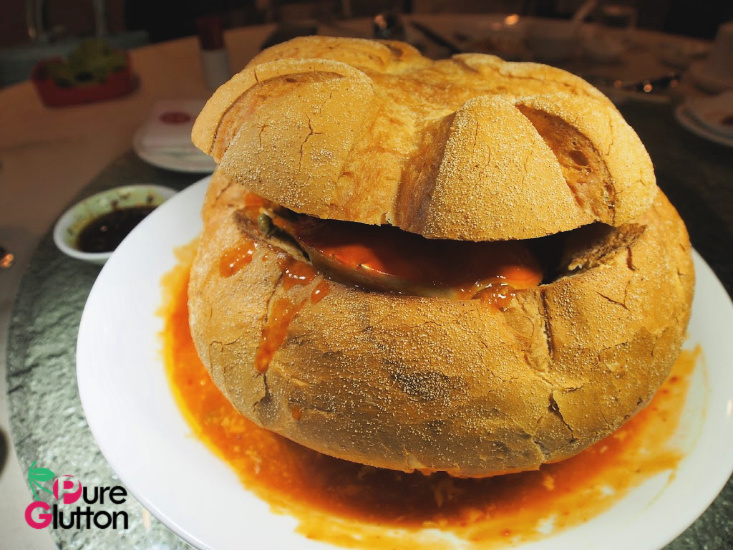 The bread is addictive – freshly baked and we can’t stop dipping pieces of it into the thick sweet chilli sauce! As you can see, the chef has thoughtfully served the sauce on an outer plate so that the bread won’t get soggy. Another winning crab dish here – in fact, its our favourite – is the White Pepper Sauce Crab. 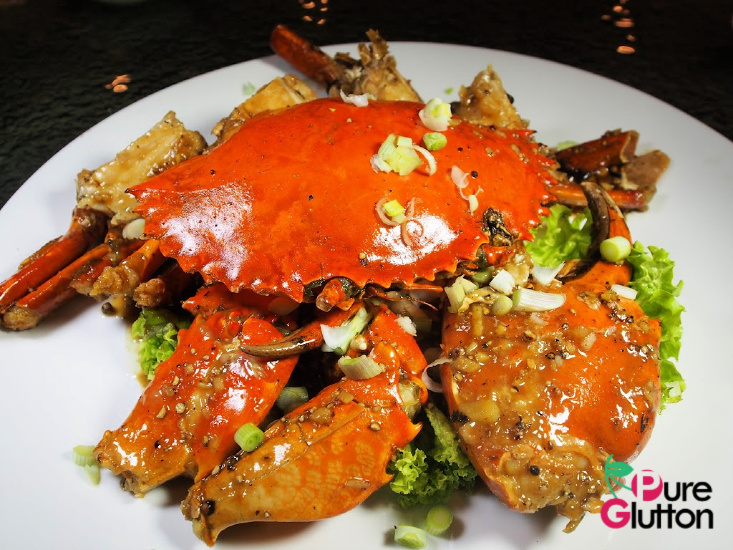 Using premium Sarawak white pepper, the crab is insanely aromatic and the chef has got all the flavours perfectly mixed. This is truly finger-licking delicious and will certainly be a repeat order for us. 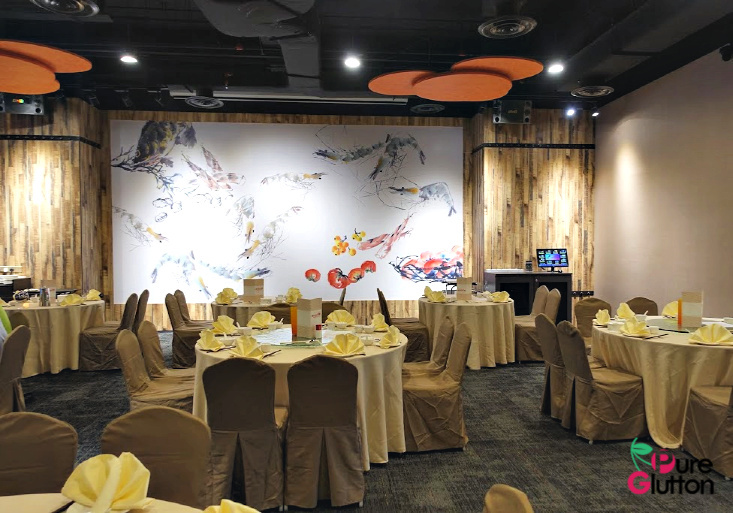 There are so many other captivating dishes we want to try here and of course it’s impossible to do that in one seating. We will be back, for sure! 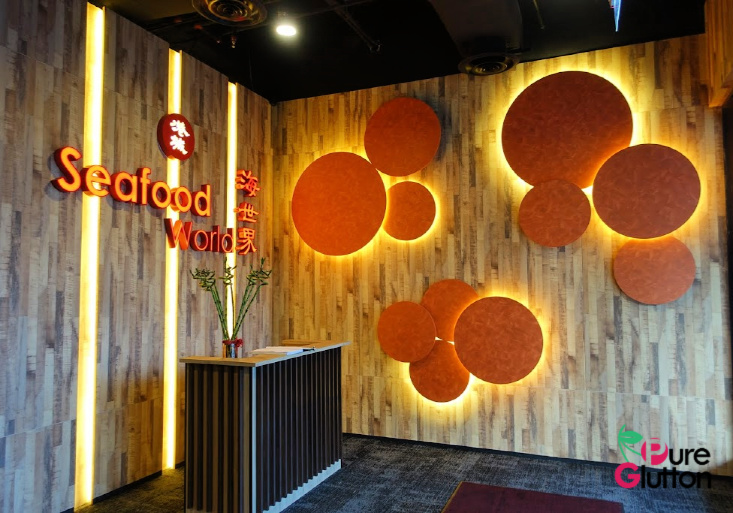 For the coming Chinese New Year, Seafood World will also be serving festive dishes mapped out in several set menus. Prices start at RM298++ for 4 pax right up to RM1,988++ for 10 pax. For more details on these special festive menus, check out their website here.